For those who are not long-time readers of BlytheLife, it may shock you to know that I do not take a Blythe with me everywhere that I go. In fact, some of my dolls have only left my house once or twice since they’ve arrived. 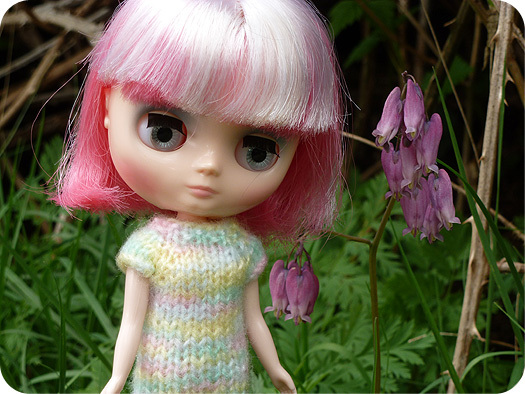 I’m occasionally just a very bad Blythe owner. However, I have made a conscious effort to change that by taking a doll along when I go out. Even if that doll doesn’t come out of my bag, I still carry one sometimes (except when I’m going to the hospital, because then she’d just stay in a carrier, in my bag, in a locker for 12 hours and that just seems unusually pointless). On two separate occasions, I went for a short day hike with a doll. 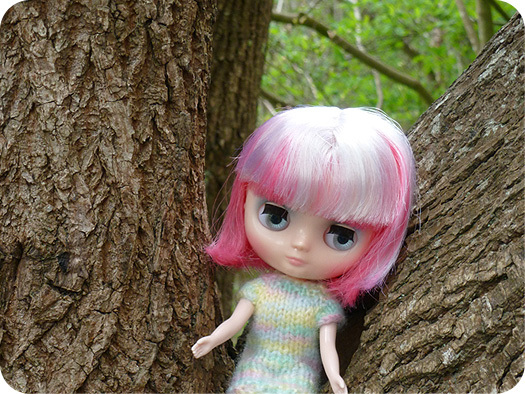 Most recently, I took along Lydia Melbourne (my Yellow Marshmallow Middie Blythe doll), mostly because she’s ‘newer’ and I felt that she needed some camera time. And you know what? There’s just something so fun about having something to photograph beyond the scenery (not that the scenery wasn’t beautiful, because it was). People passed me on the trail and the look out points and nobody asked about why I was holding onto a doll or asking me what the doll was about. I took photos, posed my dolls on perches, and just have a really good time. Lydia Melbourne is wearing a rainbow knit dress (by me), and Kelly shoes.